Come on in to the Comfort Suites in Southgate, MI where behind every great day is a great night. We are near the Cobo Conference and Exhibition Center, Southgate Civic Center, Detroit Historical Museum, Greenfield Village, Comerica Park and the Henry Ford Museum. Take advantage of the business center with copy and fax services or enjoy other amenities like free WiFi, free breakfast, free weekday newspaper, an indoor heated pool and a fitness center. 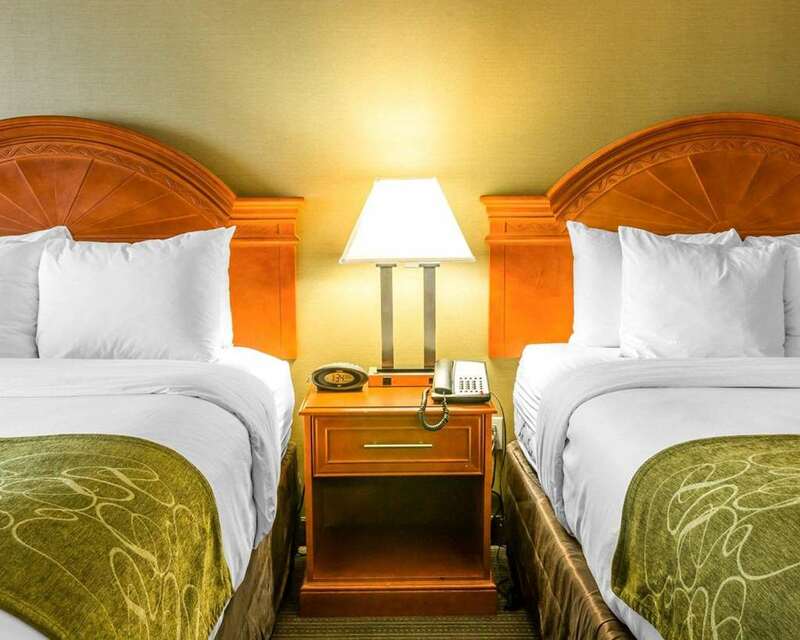 Your spacious room includes a refrigerator, microwave, coffee maker, TV and recharge device. Select suites have a hot tubs. Also, earn rewards including free nights and gift cards with our Choice Privileges Rewards program.